There appears to be no shortage of opinions when it comes to Kris Letang's game or his future with the Pittsburgh Penguins. Whether you love him or hate him, want him dealt or to retire a Penguin, there's one thing everybody can agree on: Letang is as polarizing as they come. So, with that spirit in mind, Pens Initiative decided to stage its own debate on what could be in store for the talented, yet maligned blue liner. EBE: After the way the Penguins exited the playoffs last season there were a lot of questions surrounding the team, but between Fleury playing well and the job Bylsma has done with the depleted roster, a lot of the debate has died down, at least for now. 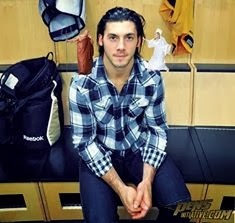 However, Kris Letang and his future with the team still remains a hot topic. I'd like to see Ray Shero find a way to trade Letang, but that doesn't change the fact that he's still a very good player. He's arguably one of the best skating defensemen in the league, makes a great first pass, and helps drive possession. He's a physical freak coming into the prime of his career, and everything considered, $7.25 million per year is a very fair price for him in today's game. If Shero makes him available, he'll attract plenty of interest on the trade market, and that changes the dynamic of the discussion. It seems like a lot of times when teams unload big contracts they're just trying to get someone to take on the cap hit, but in this instance there would likely be a bidding war for Letang. SG: Outside of Erik Karlsson, one can easily make the argument that "Tanger" represents the most dynamic defenseman in the NHL. Sure, flaws exist in Letang's game. His decision making, at times, can be maddening; he turns the puck over more than you'd like to see. But, you know what? The upside to his game outweighs the negative. Whether it's his blazing speed that prevents a short handed breakaway or an improbable outlet pass that somehow eludes would-be defenders (elements that were both on display Saturday night in Calgary), Letang brings something extra to the Pens' blue line. Because, while Matt Niskanen has emerged as a reliable two-way presence, Olli Maatta has surfaced as a legitimate NHL defenseman and Paul Martin will soon return, can any of them provide Pittsburgh with all the elements Letang brings to the table? And, if not, is such an asset really something Shero and the Penguins want to ship out of town, like you said, as he prepares to enter the prime of his career? You mentioned a potential bidding war if Shero is, in fact, willing to listen to offers for Tanger's services. My question to you would be, if you're playing armchair G.M., what kind of return (in terms of role/characteristics, not specific players) are you looking for that will entice you to pull the trigger on a deal for a player of Letang's caliber? EBE: If I'm sitting in Shero's chair I'm looking to get guys back that can help me rebuild the bottom 6. The Penguins were at their strongest as a team when they were able to consistently roll out 3 strong lines, and with Jordan Staal, Matt Cooke, and Tyler Kennedy the absence of a strong bottom 6 is very noticeable. Obviously I'm not suggesting trading Letang for another team's 3rd line because the Pens have options here. Resigning Jokinen could give them a guy who could float between the 2nd or the 3rd line. Pascal Dupuis is a guy who, post ACL injury, could be better suited taking on a 3rd line role, especially if he loses a step or two when he makes it back. When Beau Bennett gets healthy he'll be in the conversation as well. Getting a top 6 guy back in return for Letang would strengthen the third line just by who it would demote. Whether Shero targets an established top 6 wing who he believes could fit right in with Crosby or Malkin, a veteran who can drive possession on the 3rd line along with young players with potential, or a package around an elite, NHL-ready prospect, the target needs to be forward and it needs to keep the salary cap in mind. The combination of freeing up $7.25 million from Letang's cap hit next season, getting back valuable pieces in a trade, and the salary cap going up next year will give Ray Shero a lot of room to flex his muscles and give this team an infusion of talent at forward. And with the organizational depth on defense, the Penguins will still be able to ice a very good group of blue liners. What I'm not interested in is a rental of any kind or youngsters with promising futures that aren't quite ready to contribute. After last year's attempt to put a square peg in a round hole with acquisitions that didn't necessarily fit the club's needs, I'm looking to fill specific holes, to improve the team's chances of winning this year and in the future. And, to me, that screams depth up front. Nothing more, nothing less. This team doesn't need more ultra-skilled, elite talent. It needs size, it needs bangers and it needs guys that can chip in some offense to support the big guns when they aren't finding the back of the net. Playing armchair G.M. once again, I'm looking for someone (or individuals) who represents a significant upgrade on the third line but also possesses the versatility to slide up and down the lineup. Such an acquisition will ideally provide the Pens with both the depth they desperately need and a sort of insurance policy if Bennett isn't ready for pressures of a top-six role. Now, if Shero decides to dangle Letang as trade bait, you can bet he'll shop the star blue liner as someone who can fetch a pretty substantial piece, a game changer. Because, in reality, a return of anything less would result in a losing deal for the Penguins. But Pittsburgh doesn't need game changers; they need complimentary pieces that serve to round out a club looking to make a long playoff run. As a result, Letang isn't the most desirable piece for Shero to move. EBE: I can't see any Letang trade happening until the offseason, but I don't mind getting back youngsters with promising futures in the offseason because it'll give Shero a chance to address the bottom 6 with the extra cap space, and the type of players that he'd be targeting are the guys that are usually the secondary targets that get signed after the big name players, so theoretically he could swoop in and completely retool the forwards just by having the cap space. Taking a look at what Kris Letang brings to the table and what the team would be missing by trading him, it's hard to see exactly why Ray Shero shouldn't be making a deal. An offensive defenseman making $7.25 million should be able to quarterback a powerplay, but that's always been an area that Letang has struggled with. A good powerplay QB knows exactly what he's going to do with the puck when he receives it and how the other players on the ice will react, but Letang hesitates when he gets the puck and seems unsure whether to pass or shoot, sometimes despite having open shooting lanes. Bylsma likes to play 4 forwards on the power play and Letang currently isn't the best option for that lone D spot, Paul Martin is. Projecting 3-4 years into the future, and Kris Letang still isn't the best option. That's likely to be Derrick Pouliot, who is about as natural of a power play QB as they come with great offensive tools. On the penalty kill, Letang is 4th among defensemen this year with 2:06 TOI/gm after setting a career high averaging 2:12 per game last year (also 4th on the team), and his contributions on the penalty kill can easily be replaced. The Penguins have better options on special teams, and while Kris Letang does play a ton of minutes the injuries this year have shown that other players are more than capable of stepping up and assuming more responsibility. Letang is the biggest factor in the transition game as he's a very mobile defenseman who makes a great first pass, but so is Paul Martin. So is Olli Maatta. So is Simon Despres. So is Derrick Pouliot. None of those players are as athletically gifted as Letang, but they're more than capable in transition, and Martin and Maatta display more patience with the puck and are much less prone to the type of turnovers Letang commits. @MadChad412 and @ToonsBrian recently took a look at the team's production with and without Letang, and at the time of the article the team had scored 3.250 goals per game without Letang and 3.071 goals per game with versus 2.500 goals per game allowed without Letang and 2.393 goals per game with. That works out to 0.179 more goals/game scored without Letang, 0.107 more goals per game allowed without Letang, and most damingly a 0.072 increase in goal differential without Letang in the lineup. Those numbers are saying so far this season that the Penguins have been just as good compared to the other team without Letang on the ice as with him on the ice. Kris Letang would be highly coveted if made available to other teams and would provide a big boost to their bluelines, but he remains a bit of a luxury in Pittsburgh. His contributions on special teams can be replaced and his minutes at even strength can be taken by other players without providing too much of a drop off. Isn't this exactly what you look for in a trade? 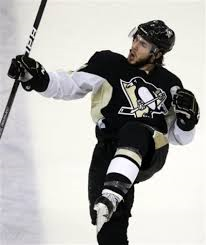 Letang could be replaced with the players already in the system AND he'd fetch the biggest return in a trade. That's the definition of win/win, and that's not even taking into account the advantages of Ray Shero giving the youngsters a bigger role on defense. SG: If we're turning our attention to potential offseason blockbusters, one thing to keep in mind is the fact that some of the individuals you mention above may no longer reside in Pittsburgh this summer. Shero will surely deal from his impressive stable of blue liners at (or prior to) the deadline, whether it be at the expense of a promising prospect, a veteran approaching free agency or some combination of the two. That being the case, there will eventually come a time that the Pens may become hesitant to move defensemen for fear of thinning the blue line too much. Now, let's examine the special teams' issues you brought up. With regards to the penalty kill, you're absolutely right; Letang is replaceable. You know what, though? So is virtually everyone else. The Penguins currently own the league's top short handed unit despite the revolving door of players who have been in and out of the lineup all year. Regardless of who dresses, this coaching staff has the group prepared to execute and expecting results. So, in reality, it's irrelevant if Letang isn't responsible for the heavy lifting on the PK because the Penguins continue to prove they'll get the job done no matter who jumps over the boards. On to seemingly everyone's favorite subject: the man advantage. Once again, you're right in that Letang isn't the typical power play quarterback most team's want in their most handsomely paid defenseman. And, for most squads, that might be a problem. The Penguins, however, aren't most squads. In Crosby and Malkin, Pittsburgh employs arguably the greatest offensive forces in hockey and, as a result, they can compensate for said deficiency. Throw in Neal and Kunitz and it's almost unfair. Yes, the group still need to gain the zone but they've proven they can overcome this question mark. Need proof? Take a look at this year's unit, also pacing the circuit. With Paul Martin (the typical "quarterback") missing half the season, the group continues to excel thanks to its wealth of talent. Once again, this team doesn't need Letang to fit the typical mold of a club's highest paid blue liner. Think having those guys in his corner means anything? Sure, the '09 Cup run took place a few years ago but it's not as if Letang finds himself on the back nine of his career. Would it really be prudent to walk away from a defenseman with that upside, that experience? No, that's the kind of decision that can come back to haunt a franchise, a mistake that a G.M. may regret for years. EBE: I don't think it would be walking away from Letang as much as it would be moving in another direction. Having a guy like Letang on defense helps make things easier for the top 6, but I'd argue that having the Staal-led 3rd line be able to eat big minutes and wear down opposing defenses helped just as much, if not more. And if you ask 87, 71, and 18 whether they'd win an Art Ross or a Conn Smythe I can already tell you what their answer would be. If they have a few less opportunities to score goals but a better chance to win the Stanley Cup I guarantee that they're on board. To be honest trading Letang isn't a conversation that gets off the ground without a salary cap, but in today's NHL you need to make tough decisions, and being able to succeed on special teams despite the presence of your $7.25 million defenseman isn't exactly a strong argument for keeping him around. Take a look at the recent Stanley Cup champions and a trend begins to emerge. The Pens won the Cup in 2009 with Malkin on his entry level contract, and both Sid and Geno were on ELCs the year before when they made the SCF. Chicago had Toews, Kane, Duncan Keith, and Niklas Hjalmarsson on ELCs and Antti Niemi making only $827k when they won the cup in 2010, and Boston got key contributions from Brad Marchand (19 points in 25 games) on his ELC in 2011. Both Jonathan Quick ($1.8 million) and Dustin Brown ($3.175 million) were on their second contracts when LA won the Stanley Cup in 2012. Not having cheap, young talent playing above their cap hit doesn't eliminate a team from contention, but it does make things more difficult. Chicago won the Cup last year with a good mix of high priced players and young talent, and it's a blueprint that would work well for Pittsburgh. A lot depends on this year's trade deadline, but as things stand now I'd have to imagine that Shero brings back Niskanen and lets Orpik walk after the season. Simon Despres will be a RFA, but it's hard to imagine him topping a $2 million AAV. Derrick Pouliot was fighting Olli Maatta for a roster spot in training camp, and if he's ready he's only costing $895k against the salary cap, same as Maatta. Pittsburgh could potentially have those 3 defensemen costing only $3.8 million against the cap worst case scenario, or roughly half of Letang's cap hit. Young talent not only comes more cheaply, but it gives a team more control over their salary throughout their RFA years. This gives Ray Shero more flexibility in assembling his roster, and he could bring in a big money winger with plenty of room to spare. He could sign several players to shore up the depth in the bottom 6, and he could make the offense a force to be reckoned with up and down the lineup while still having a stellar defense. And he could do all that without taking into account the return from a Letang trade, which if he focused on elite prospects and picks he could replenish the organization depth and have the same cost control even further down the road. Kris Letang does some great things for Pittsburgh, but it's hard to imagine a scenario where Letang is traded and the Penguins don't have a much better chance to win the Stanley Cup. It'd be a tough decision, but it's the right one to make. Luckily, as Pens fans continue to debate the pros and cons of Kris Letang, they can take comfort in the fact that their club employs one of the most shrewd general managers in all of hockey. Subsequently, one thing they should all be able to agree on is the fact that no one has a pulse on this team like Ray Shero and, chances are, he'll ultimately make the right decision. Not true, Shero wanted a d-man also in part of the deal and he even stated so. Neal fell out of favor with Dallas because he didn't want to resign with them. This is what Shero said in an article when Gogo was traded. I had talked to Joe (Nieuwendyk) a little bit over the last month or two about several different scenarios, and he’d expressed some interest in a puck-moving defenseman. And really, probably just about 2-3 days ago we had another conversation where we exchanged names – one being Goligoski and one being James Neal. To me, a lot of teams have called about Alex in the last couple of months and I made it clear to every team that called that I was not looking to trade him. Our defense was playing well as a group; the strength of our team was our defense and our goaltending. In the back of my mind, if I was ever going to move Alex it was going to be for the right forward, and with James Neal I think we’ve found that up-and-coming winger. His best days are ahead of him. And it’s difficult to give up Alex. He won a Cup with us here and he’s a really good young defenseman. So they’re difficult to give up, but getting Matt Niskanen in the deal was also important to us, especially by trading Alex during the season. It’s hard to get defenseman at this time of the year, so we’re looking forward to having Matt join us. He’s a young guy, only 25 years old, and he’s had some pretty good years so far in the NHL. A complete and accurate look at the players in the NHL who are better than Sidney Crosby. Um. This is your list. Evgeni Malkin is great with reporters, even if he'd rather have you believe otherwise.